Discover the gastronomy and culture of the Andes Mountains during this full-day shore excursion from Iquique. Travel from coast to mountains to sample various dishes from the area such as alpaca, llama, quinoa, cactus juice, and much more. 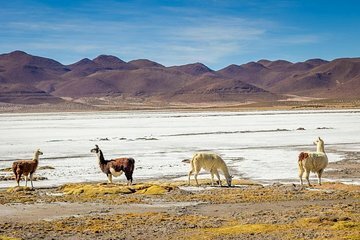 Cross the Atacama desert, rock formations, rivers, and villages to discover the source of these delicious foods and learn about the farmers who grow them.